The new academic school year begins in September and I know, once school begins, that I will not have as much time to read. In my TBR pile for September I have moved over one book I intended to read in August but did not (Heartbreaker by Claudia Day). The rest of my pile comprises of ARCs that I have been lucky to receive during the month of August (mostly at author events). The first book I have started to read is The Iron Flower by Laurie Forest as it the sequel to the book I completed on Saturday – The Black Witch. 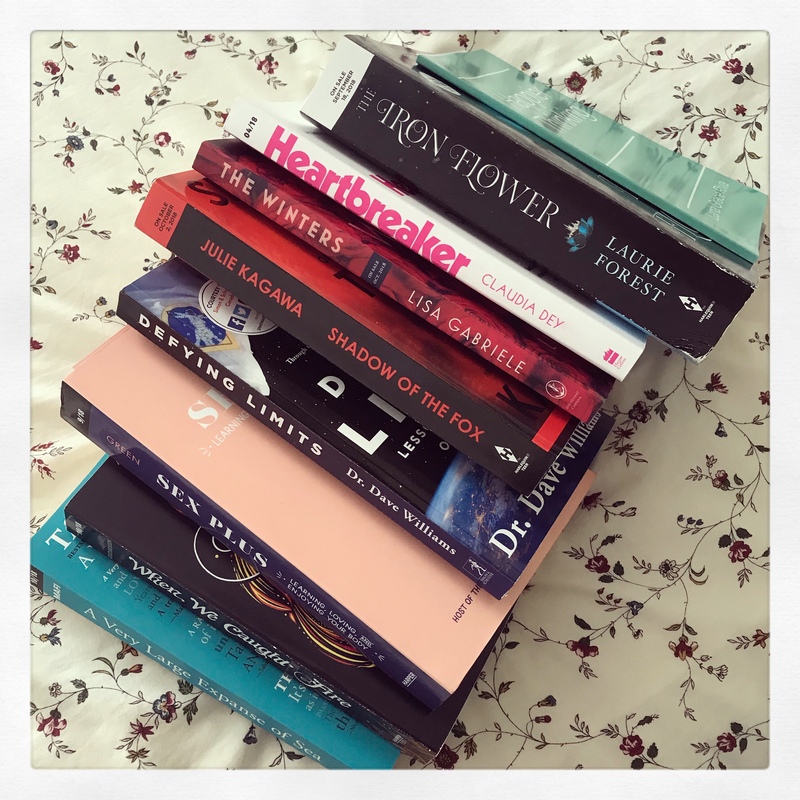 What does your reading pile look like for the month of September? What is it like? The title is intriguing. I’m happy I found your book blog! That is a great reading pile you have! My “pile” is just one book high. I just finished reading a great, fast-paced thriller called Civil Terror: Gridlock. It is written by J. Luke Bennecke (his website is http://www.jlukebennecke.com/ for more info). This one really surprised me! It is a suspenseful read that makes you think about the potential implications of fast moving technologies that we are seeing pop up today and how they could be used against us.Super timely and loved the characters. And i hear there is going to be a series so I’m super excited to read more when it comes out!